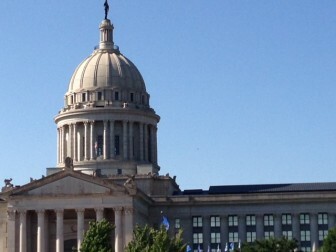 A proposal to create bond-financed trusts for Oklahoma’s common and higher education systems will likely face a difficult path in the legislature, said veteran legislators on both sides of the aisle. However, Rep. Dennis Casey, a Republican from Morrison and vice chairman of the House Common Education Committee, suggested the idea might be misguided. Casey said he was concerned that a trust fund could be used as an excuse by the legislature to reduce funding from the general revenue that would have normally gone to education. “We saw that happen with House Bill 1017 and we saw it happen with the lottery,” he said. Crain countered that the bond issue legislation would include a clause requiring the Legislature to maintain existing education funding and not consider the trust money to replace standard appropriations. • Bond funds earmarked for higher education could be used to recruit and retain faculty, provide tuition assistance to students in those disciplines who agree to remain in Oklahoma for at least five years after graduation. The funds would also be used to help research foundations that work with the University of Oklahoma and Oklahoma State University. • Forty percent of the funds would go to OU, 40 percent to OSU and the additional 20 percent would be earmarked for regional colleges and universities. • The funds set aside for common education would be used to increase teacher salaries in science, technology, engineering and mathematics. Crain’s proposal would also establish ruling boards for both trusts. The common education trust would have a board of directors appointed by the Oklahoma School Land Commission and legislative leaders. The higher education trust would be controlled by a board chaired by the state treasurer or a designee and appointees named by the governor, state auditor and the legislature. “This gives the people of Oklahoma the opportunity to say, ‘This is where we want our money spent,'” Crain said. House Minority Leader Scott Inman, D-Del City, questioned the timing of Crain’s proposal. Inman said budget and tax cuts were pushing the state into a system that would force funds to be dedicated for particular services. But Crain’s proposal, Inman said, probably wouldn’t survive the session. “There is virtually no chance of that proposal getting out of the House,” he said. “We don’t have budget numbers for next year yet, so it’s too early to talk about how much or if any area of government will receive an increase,” Fallin’s spokesman, Alex Weintz said. The bond issues would need approval from the full Legislature, and would then be put to a statewide vote. Records show about half the state’s budget is already spent on its common, Career-Tech and high education systems. This year lawmakers spent $3.6 billion of the state’s $7.1 billion budget on education. In FY 2013, the state spent $3.4 billion on education. Total state spending for FY 2014 was $6.6 billion. Debt service on the bonds could cost the state between $144 and $163 million per year, said Jim Joseph, the state’s bond advisor. Attorney General Scott Pruitt responds to a New York Times story that raises questions about whether his office has been influenced by close ties to energy firms.